The 2041 Digital Multi-Meter has AC/DC voltage, AC/DC current, and DC resistance measurement functions. 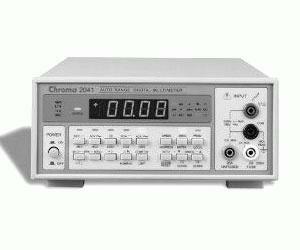 It provides auto-ranging, maximum and minimum reading score record, and PASS/FAIL comparator digital functions. As well, the 2041 provides a GPIB interface option.